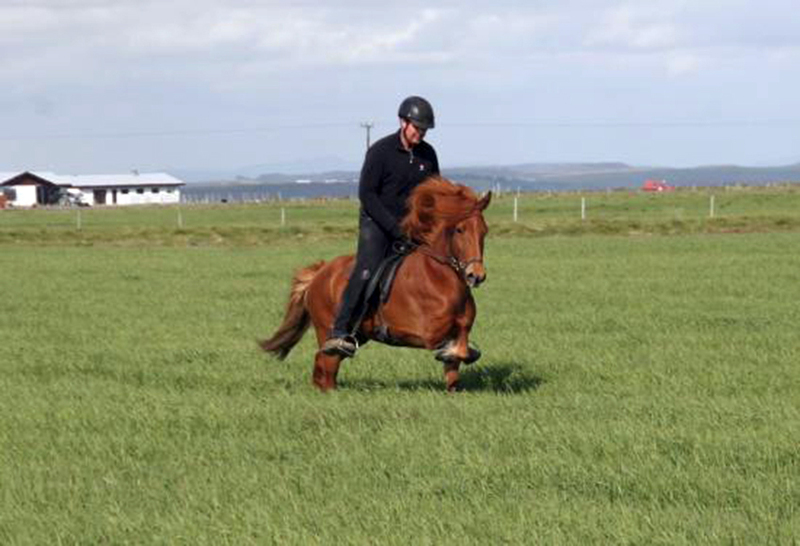 Hugmynd is sired by Háttur frá Þúfum (8,73 for riding) and the Oturdaugther Viðja frá Sauðárkróki (8,36 for riding). We got a foal from her this year and our stallion Hákon, a beautiful chestnut stallion foal with a blaze, Aron frá Hamarsey. Hugmynd frá Sauðárkróki er á leið til Þýskalands, fylfull við Herkúlesi frá Ragnheiðarstöðum. Til hamingju Carola og Klaus á Igelsburg!